We are in the business of improving productivity and profitability of smallholder farmers in developing countries. 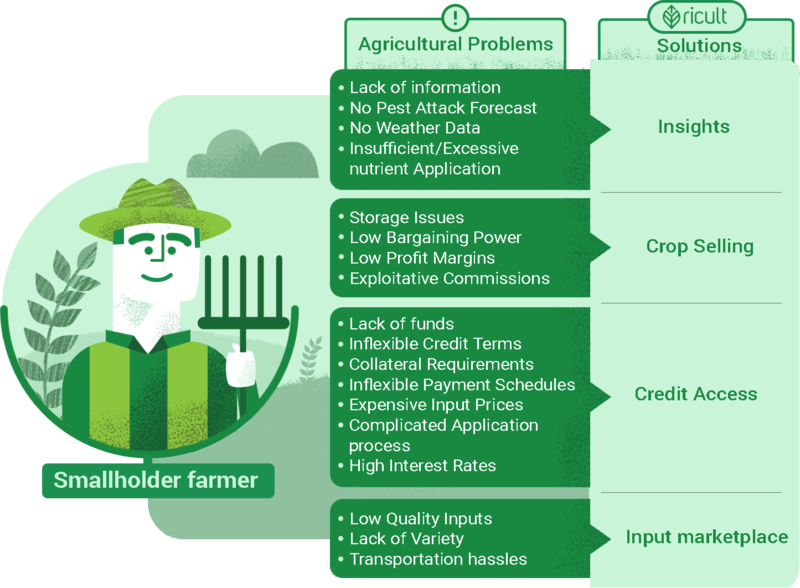 Using technology we aim to bridge the credit , information and access gaps that plague these farmers and force poverty on them, generation after generation. By simply addressing the major pain points of these farmers with technology based solutions, we have been able to launch an integrated digital platform that has the potential to revolutionize farming as we know it. Those who feed us, need us. Smallholder farmers and their families in developing countries make up the world's most impoverished segment. Poverty, financial exclusion, malnourishment, lack of basic necessities such as health care, clean water, sanitation, education & electricity are just some of the problems they face in their everyday life. With all the aid and efforts to eradicate poverty and its related ills, one can study the efforts made in the past few decades and understand the key to solving these problems is to enable these farmers to help themselves. In other words, a hand-up rather than a hand-out approach. We at Ricult built our entire business model around a simple insight. 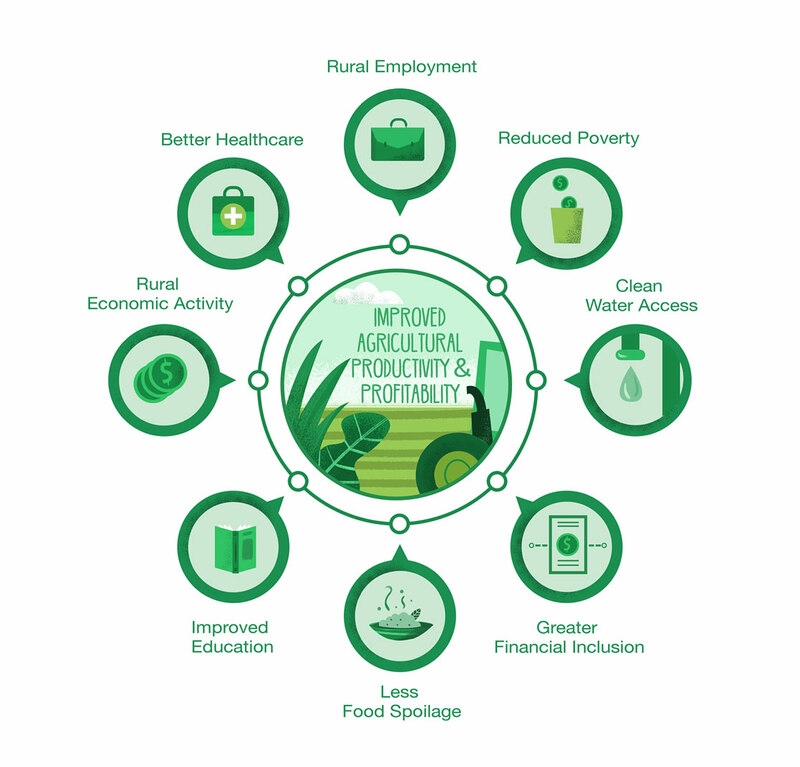 Improving agricultural productivity and profitability was the only sustainable route to stronger rural communities. As a double-bottom line social enterprise, we aim to enable them to become economically independent and improve, not only their own but their families and entire communities standard of living. The current system of informal credit was not working for us. We were very upset but Ricult has greatly improved our lives by offering credit at much cheaper prices and providing us with high quality products. Our crops would get spoilt even before we were able to sell them… now we already have a buyer lined up even before harvesting. This way we save more and there is no stress. Ricult dashboard with its color coding system lets me know in which part of my land, growth is stunted so I can take immediate action unlike before, when areas we couldn’t personally scout we would not know until the end.